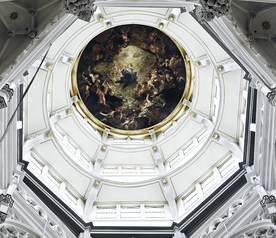 Rubens' palazzo in Antwerp is one of the best-known artist's homes in the world. Enter the Rubens House and you literally step into the master's world. It was where he experienced family joys and sorrows, and where he welcomed princes and dignataries and where he did most of his painting. Rubens greatly admired Rafael, the Italian painter. So it will come as no surprise that Rubens designed his own city palace in 1610, like his illustrious predecessor. He acquired land near Meir, which was always a popular neighbourhood. Here, in this house, Rubens created his masterpieces, his children played in the garden and he even received prominent, noble and even royal guests. In the meantime, his assistants and apprentices were hard at work in the studio, creating paintings. As Rubens shot to fame, he no longer could cope with all the commissions, which is why he worked with a team of professional artists. The Rubens House was not always used as a house or museum. After Rubens died, his second wife rented out the home to the Cavendishes. Mr and Mrs Cavendish opened a popular riding school in the former painter’s residence. Rubens’s heirs acquired the property after the Cavendishes moved out. The Rubens House was renovated around 1750. The residential part of the building was demolished and a new-build added. The French even used the property as a prison at the end of the century. In 1937, the city of Antwerp acquired the house and turned it into a museum. It took nine years to restore the Rubens House to its original condition. Two elements were preserved in their original condition, however, namely the portico and the garden pavilion. They are also rare examples of the master’s work as an architect. These 400-year old elements are now restored. When you visit the Rubens House, there is so much more to see and experience than his house and masterpieces. You can also see works by his talented and famous assistant Anthony van Dyck and admire Rubens’s own art collection. 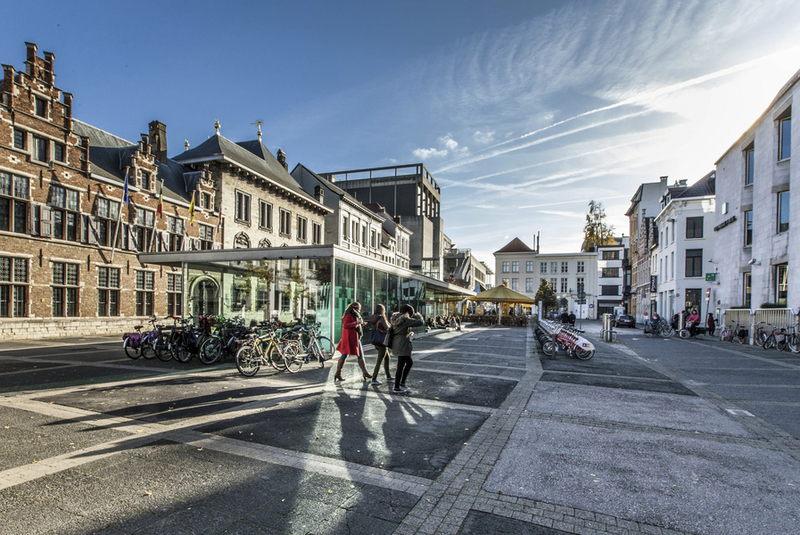 Tour the city with a guide if you want to make the most of your visit. How to recognise the architecture of the baroque? 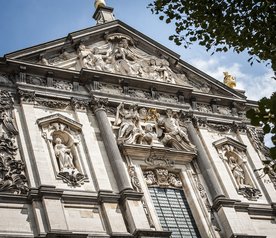 What does Baroque architecture look like in Antwerp? How can you easily recognise Baroque buildings? The Cathedral of Our Lady, St. Andrew’s Church, St. Charles Borromeo’s Church, St. James’s Church and St. Paul’s Church are a unique group of five historic churches in the city centre.